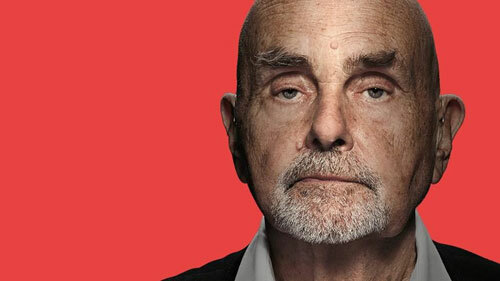 German composer Hans-Joachim Roedelius is a synthesizer pioneer, and a leading light of ambient music. Yet acoustic piano is his instrument of choice, and he has little use for the term “ambient.” Roedelius made a rare North American appearance at the Mothlight on March 18 before heading to Knoxville for this year’s Big Ears Festival. The 82 year old Roedelius doesn’t consider himself part of the coterie of minimalist composers that includes Philip Glass and Steve Reich. “I’m working from the belly, not the head!” he insists. And while the oft-stated goal of ambient music is to encourage a contemplative or even meditative state, Roedelius is more modest – and direct – as far as his goals. “I don’t want to evoke anything but listening,” he says. Roedelius has visited Asheville before; a high profile performer at the 2011 Moogfest, he performed solo and as LunzProject with Tim Story. For much of his solo set, he played grand piano, and didn’t use keyboard synthesizers at all.